Fibres are hair-like materials that occur as continuous filaments which is similar to pieces of thread. Fibres are classified in to two types: natural fibres and synthetic fibres. India has a large resource of natural fibres and classified into three types such as plant fibres, animal fibres and mineral sources. Plant fibres can be extracted from the bark( jute, hemp, banana, ramie), stem(palm, banana, bamboo), leaf( screw pine, palm, sisal, agave), husk(coir), seeds(cotton) and grass(sikki, munj, benakati and madhurkati) are very useful raw material for the handicraft industry. 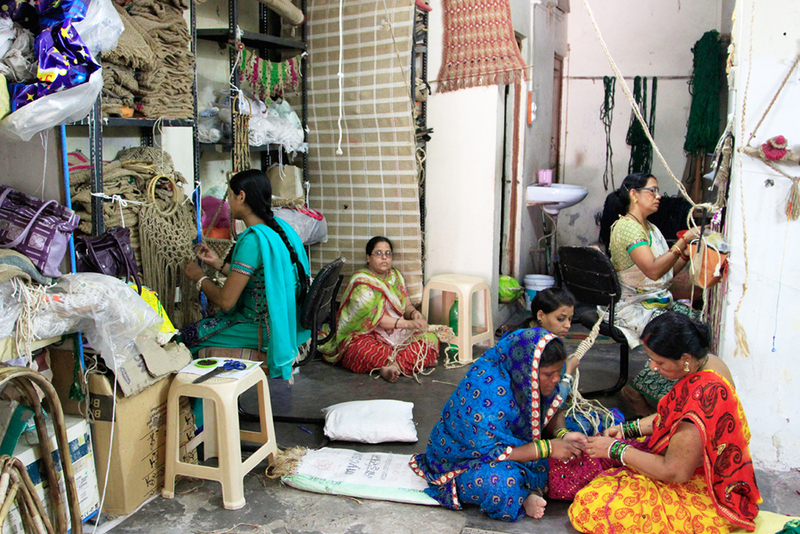 Apart from crafting eco-friendly utility and decorative products they provide an alternative employment opportunity. Nowadays the situation has changed especially due to the environmental concerns in favor of natural fibres as eco-friendly, sustainable material. Whereas 1960s and 70s brought an international revolution in fibre art. Other than weaving, fibre structures were created through knotting, twining, plaiting, coiling, pleating, lashing and interlacing. The rural artisans convert these fibres into value added finished products such as bags, table mats, cushion covers, hats, floor coverings and decorative items etc. during the Mughal era, poor rural people of India were using coarse jute for clothing. Jute is a natural fibre, generally known as golden fibre. 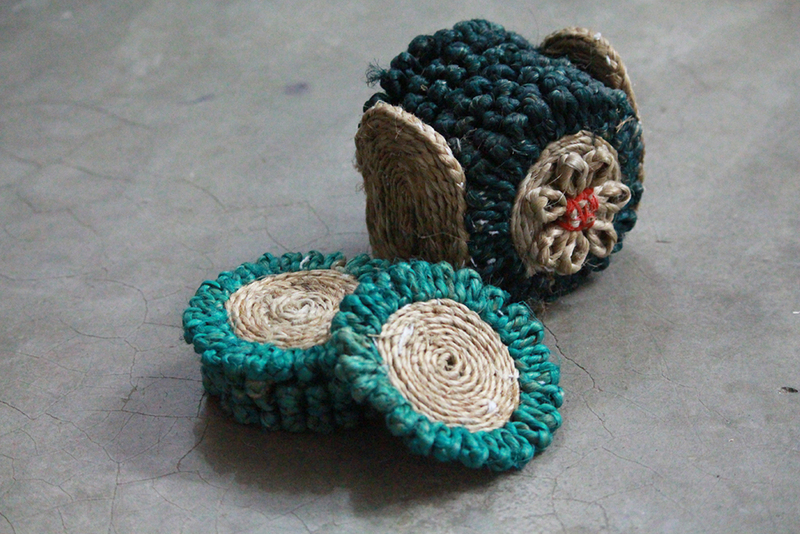 Jute is an annual crop grown mainly in India, Bangladesh, china and Thailand. Jute fibres are long (1 to 4 metres) silky, lustrous and golden brown in colour. Jute yields four times more fibre per acre than flax. Jute is an environmentally friendly fibre that is good for the air, biodegradable, feeds the soil and all parts of the plant can be used. Jute plants absorb three times more CO2 than the average tree and improve the soil fertility. 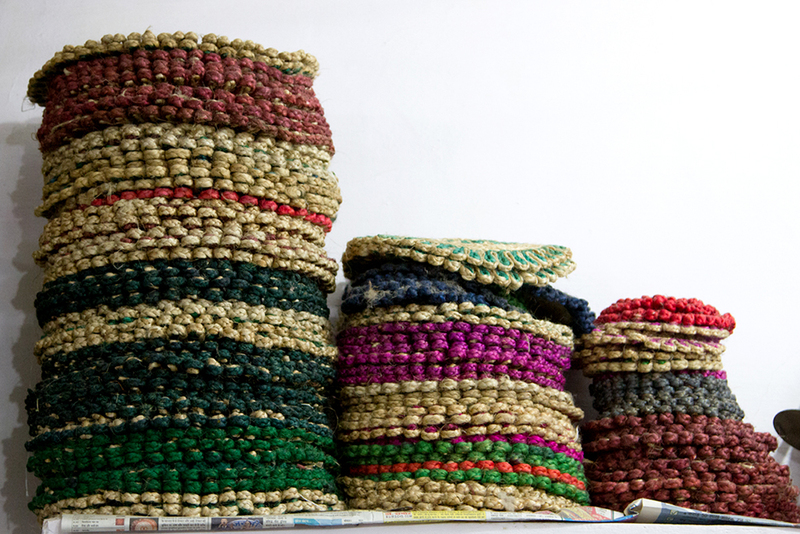 Mrs. Meena Tiwari is a well-known artisan, who has a 23 years of experience in making jute craft. She started her carrier in 1993 and in 2001 she started to work with Sri Navodaya Kala Vikas Kendra, Bhopal. Mr. P S Takur, who is a president of the organization explained that the organization was founded in the year 1998 and there were only 7 members at the beginning. 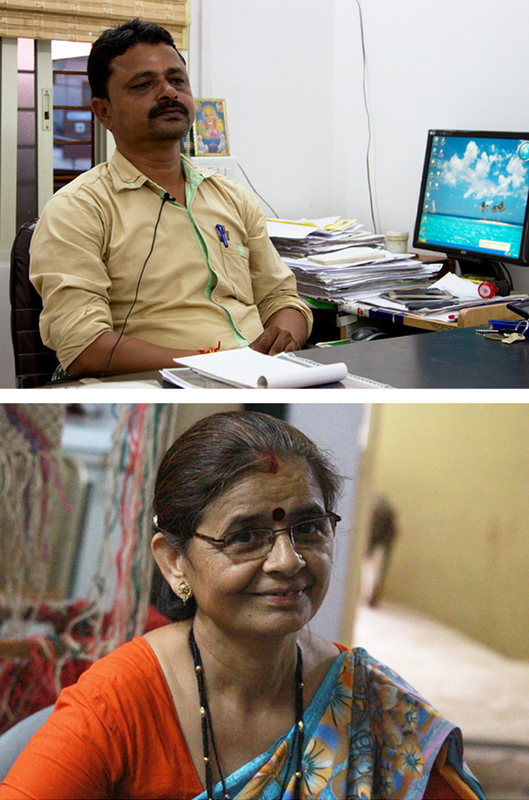 The motto of the organization is to create work opportunity to the needy. Organization implemented 110 Jute Craft Training programs and Jute Design development workshop program, or different welfare activity, all project sanction by govt. of India and State govt.